Dissatisfied about the establishment? Let's reform. Electoral College now is not what the Founders had intended it to be. Knowledge is power. 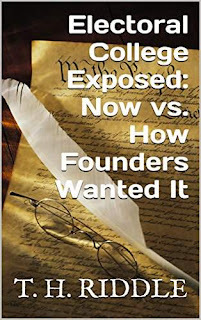 "Electoral College Exposed" discusses everything you didn't know but need to know about the Electoral College and the presidential election in the United States of America as the Founding Fathers had envisioned.